Credit Suisse is the team that ranked KIOR as the stock with the 225% upside a year ago when it was trading at $9 a share. Credit Suisse had a target price of $25. 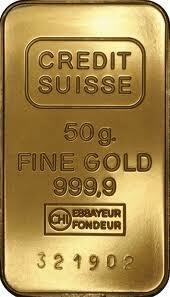 Maybe the CFO will announce that Credit Suisse has bought $100 million of KIOR shares at $25 a share? You have to remember Credit Suisse invested $30 million in Bloom Energy’s recent round. Next Tuesday will be a very interesting day and the CFO will have to give an update on the quantity of alchemic diesel and gasoline produced from the yellow pine trees they so happily felled in old Miss. I am no expert in this but I have to question why the CEO is not addressing the “conference” in New York City? Could it be that Mr. Karnes is being set up as the Susan Rice of KIOR? Perhaps KIOR will claim that the reason they could not produce the 8 million gallons of ethanol equivalent in 2013 was that they were watching an amateur produced video of how to solve the Gibbs Free Energy of the reaction of pine to diesel. Unfortunately the producer of the video had never studied thermodynamics or cinematography so the video that had poor image quality did not help KIOR solve the now famous Chu Chu Sell-U-Lose Dilemma. I may have to eat crow if Condi and Vinod manage to get $100 million to keep the company going. Perhaps I can ask KIOR to roast the crow in the fluidized bed reactor and convert the crow into turkey in a few seconds.